Sufficient treads are what keep drivers going. That’s why you should familiarize yourself on how to make the most out of your tires. New tire changes are inevitable and a great way to improve the quality of your driving experience, and the need to change a tire can either be natural or unexpected. 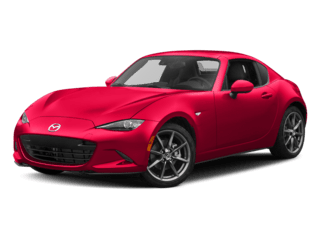 With the help of our parts department, you’ll have the knowledge to make the right choice on your next set of Mazda tires. One of the best ways to track the quality of your tires is to check the pressure and have them rotated regularly during oil changes or other tune ups. Drivers will surely notice changes in tire pressure during chillier weather. Cold fronts can easily lower tire pressure and uneven roadways at that time can further damage treads — it’s important to keep this is mind even in balmier Las Vegas weather. 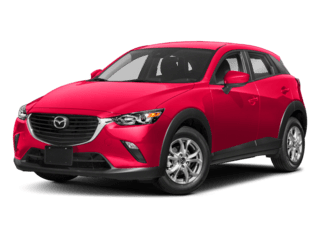 When you rely on the Findlay Mazda service department for tire service, you can even take advantage of our rotating service specials! Examining the treads themselves is also a great indicator of whether you need new tires. A good rule of thumb is to check and see if the tread wear bar is down to the actual tread. If you see this, then you might just be in the market for some new Mazda tires. Now it’s time to find the right tires some your Mazda vehicle. If you’re looking for the best tires for your Mazda CX-5, look no further than the Optimo H426 by Hankook. Its tire pattern features four circumferential grooves, a rib type shoulder block, and a diamond shaped block design that enables better traction during wet conditions. The Optimo is also designed with a base tread compound to absorb shock along with two wide steel belts and high stiffness bead filler for improved steering and cornering. 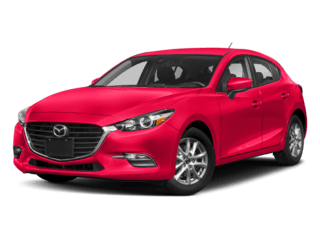 Have a pre-owned Mazda car? Hankook’s Winter i*cept iZ2 also serves as quality tires for older models such as the Mazda2. This tire features a zigzag design that cuts through snowy weather for reliable traction and braking on slick streets. Bridgestone offers a variety of options for drivers with its all-season Dueler and Ecopia tires. 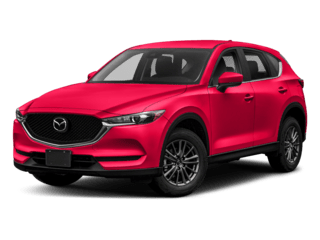 Dueler and Ecopia have been trusted tires that provide Mazda drivers with better fuel efficiency and smooth ride no matter the season. The Dueler’s continuous rib design and tread compounds lower rolling resistance while redistributing energy back into the tire to avoid heat buildup. This results in fewer fuel consumption and CO2 emissions. Ecopia tires also offer a reliable, eco-friendly option as 5 percent of the tread compound is made from recycled ground rubber and features nanopro-tech which controls interactions between polymer, filler materials, and additional rubber chemicals in the tire. 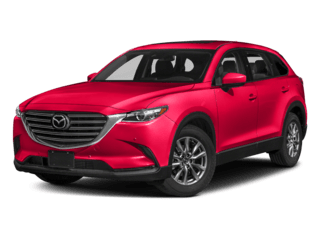 Looking for new Mazda CX-9 tires? Rely on Goodyear Assurance® WeatherReady® to bring out the best of its power and performance during rain, sleet, or snow. These come with an asymmetrical tread pattern and sweeping traction to quickly remove water in tires and improve grip on the road. 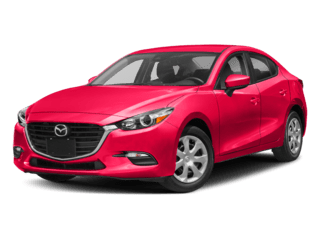 Goodyear has also proven to be the chosen brand for Mazda2 tires, and with good reason. 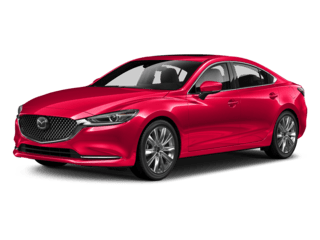 This older Mazda model can benefit greatly from the Goodyear Integrity® tires that offer dependable traction all year long when it’s time for a change. 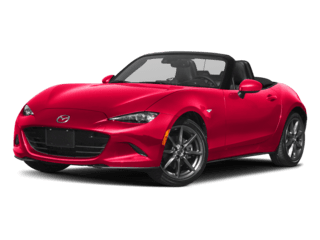 Learn more about our Parts tips and tricks to help you further manage your Mazda tires, or contact us if you’d like to order parts online or ask us your burning tire question. 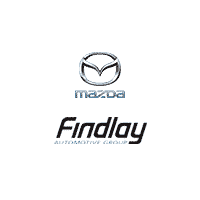 You can also schedule an auto service appointment at Findlay Mazda! 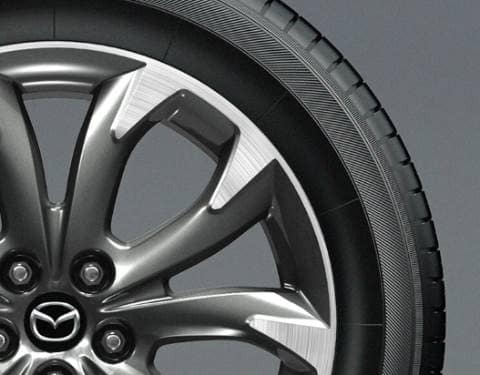 We look forward to helping you find the right Mazda tires for your vehicle.